You won’t believe how delicious these freeze-dried miso soups are! This entry was posted in お母さんへ For moms, 食べもの Food, 飲みもの Drink, 日本でぜひ Viva Japan, 日本のこと About Japan, 乳幼児 Little munchkins, 便利グッズ This is awesome! 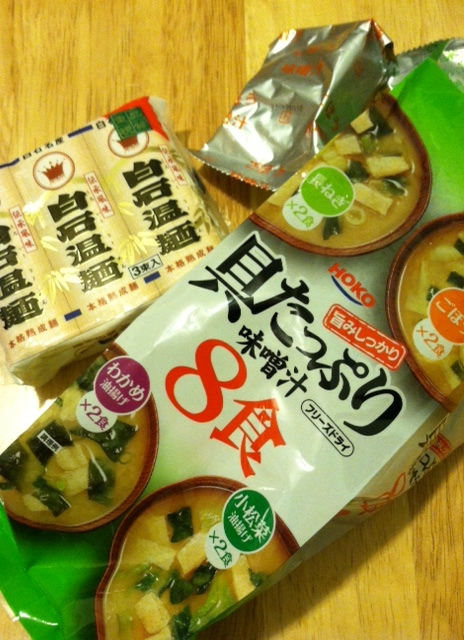 and tagged instant, Japan, miso, noodle. Bookmark the permalink.